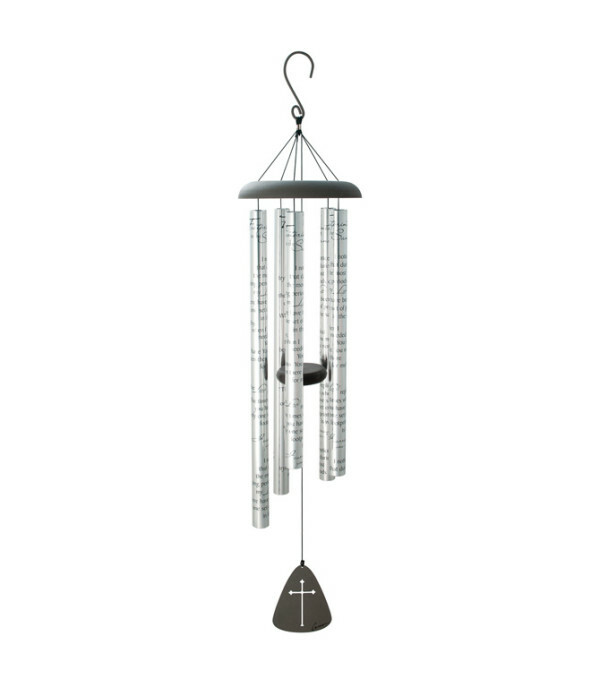 Our 44" Sonnet Chimes have 5 heavy walled, center pinned tubes that emit deep tones. All Aluminum construction, durable powder coated anodized finish, and strung with industrial cord. Each chime has an adjustable striker. Tubes are 1 1/4" diameter. Sentiment is printed directly onto the tubes.Standard: Chime OnlyDeluxe: Chime with Standard Floral added to ChimePremium: Chime with Deluxe Floral added to Chime. Each Tube Reads: God Looked Around His Garden and found and empty space. Then he looked down upon the earth and saw your tired face. He placed his arms around you and lifted you to rest. God's garden must be beautiful, for he only takes the best.